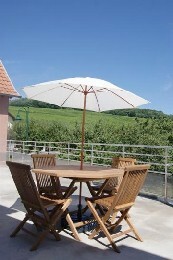 The gite is in a lovely location in open countryside and is spacious. The furniture is basic, and a bit old (brown sofa and chairs) and could do with updating, but everything you need is there. However, for all of this, the owners who live on site are delightful and very friendly and there is plenty to do locally whether for kids of wine tasting. Très bon séjour dans ce gîte charmant.A la fois en pleine nature et dont l'accès à l'autoroute est très rapide. Les propriétaires accueillants. Très bon espace de vie à l'intérieur (2 couples avec 1 enfant de 5 ans et 2 enfants de 2ans). L'aménagement extérieur est parfait et clos : agréable pour les soirées barbecue et jeux pour les enfants. Petit inconvénient: autant dans la partie pièce de vie la température est très bien tempérée, autant dans les chambres sous les combles il peut y faire chaud. J'ai loué ce gite pour de la famille lors d'une fête familiale, ils ont adoré, bien accueillis, au calme et belle vue. A group of 4 of us stayed in this beautiful country home in rural france during an 3 month apple picking season. The location is truly beautiful, with views over the fields and very peaceful and quiet. The cottage served us well, there is a open space downstairs for the community dinners and socialising and then plenty of space to relax in our own rooms. The Anjou region is really lovely and there is lots to see. It was very cosy home for us and we were sad to leave. Debra and Charles were good hosts, I enjoyed derba's food treats and the free range eggs she went out of her way to get for us. Very accommodating. I would recommend the summer season best to visit. There are swimming lakes near by and bikes free to use. Spent a week at this beautiful gite in peaceful surroundings. excellent base to go explore france. We have been visiting france for 8 years and this is one of the nicest gites we have stayed in. Lots to do all around but a car is definitely needed unless on a walking or cycling holiday. 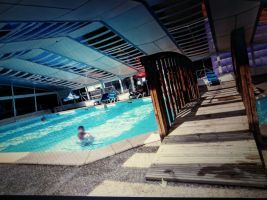 One of our favourite places was terra biotanical in nearby Angers and also a lovely pool in nearby Bauge, excellent holiday woud recommand to anyone. This is a wonderful place and perfect for families with young children. The house itself is roomy, clean and very comfortable and the kitchen is fully equipped. The surroundings are peaceful and safe for the children to roam around. We loved this place and would definitely recommend it. You do need to have a car to enjoy the surrounding area.Charles and Deborah were very helpful with everything. A perfect holiday spot, relaxing and cozy. On s'y sent comme chez nous, dixit mon fils de 8 ans. Ce gite est beau, calme, frais et tout juste rénové. Le travail accomplI est phénoménal pour avoir transformé cette batisse en un sI bel endroit. Les propriétaires sont charmants, et sI vous avez oublié de chercher des infos pour les ballades pas de problème : un accès internet est gratuit et tout un classeur a été préparé avec les sortes de visites, distance en temps et km. L'endroit rêvé pour se reposer et de détendre. À consommer sans modération ! 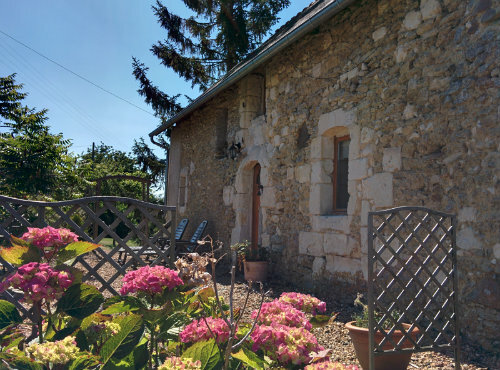 We had a lovely stay in this gite in a very rural and quiet location. It was well equipped and comfortable and good value for money. The outside terrace was great for al fresco dining and the wider gardens lovely. I would recommend the municipal lake at Chaumont as a great day out where you can hire boats and swim - a real bonus on a hot day. The provision of bikes by the landlords was also a bonus. The local area is not too touristy with some great architecture to look at. Dealing with Charles and Debra at long distance (Australia) was made very easy by their attitude. The Gite is rustic and for us the exuded a really historic charm. It was a perfect retreat for us. Set amongst the corns fields of the region, it really was a place for us to base our visit to the Loire. So many fantastic places within 2 hours!! 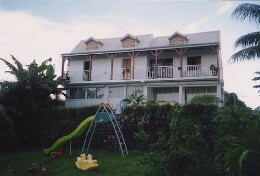 The gite is well equipped and Charles, Debra and their young family made us very welcome, from the welcoming wine and chocolate biscuits, to the ongoing contact and shared meal. But back to the gite, for us from Australia, it did really exude a wonderful, wonderful charm, being well appointed, and quite spacious. The weather was not that inviting, but again the gite with its stone walls and heaters made it a pleasant retreat. I thank Charles and Debra for their welcoming friendship and hope that one day they may venture to Australia where their friendship will be returned. 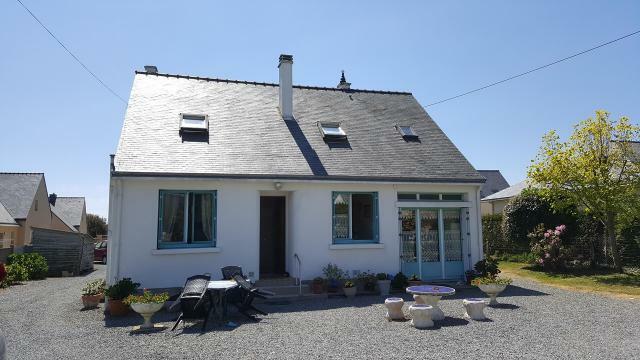 Gîte au calme très agréable, fonctionnel, avec un jardin. Nous avons reçu un très bon accueil et vous le recommandons. Une location charmante, ses hôtes également ! Tous le confort nécessaire : on pourrait presque y venir les mains vides..
On pense aussi à bébé (chaise haute, baignoire etc..) ça c'est un plus ! Merci encore à Charles et Debra pour leur accueil. Gite bien aménagé intérieur comme extérieur. Au calme nous avons passé une semaine agréable. Proximité de la Loire et des châteaux. Bonnes ballades à faire aux alentours. Très joli gîte et très très bon accueil ! Le gîte est grand, chaleureux et ne manque pas de charme. Il bénéficie d'une jolie terrasse sans vis-à-vis (ou seulement les poules ! ), donc très agréable. L'endroit est calme et retiré, idéal pour se reposer loin du bruit. Il est situé non loin de deux zoos, Terra Botanica, plusieurs parcs pour enfants, une piscine... Bref, de nombreuses activités pour les enfants sont possibles sans faire trop de route. Nous avons beaucoup apprécié notre séjour dans ce gîte. Je recommande vivement ce gite! Le calme règne en maître et rien ne manque à son aménagement. C'est magnifique! Vraiment reposant et ressourçant. Mr et Mme Reynolds vous y réserve un fabuleux accueil !!! Un endroit reposant et calme, à l'image de la région, avec un accueil fort sympathique.